DOM Trooper is a heavyweight MS. 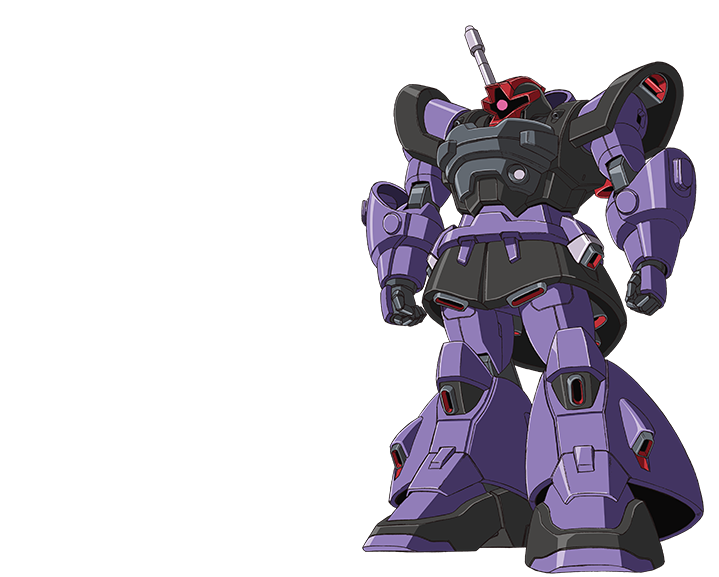 The mono eye reminds us of ZAKU Warriors and GOUF Ignited. It has been confirmed that several units have been manufactured in a Clyne faction’s factory. Its special move is called “Jet Stream Attack,” a coordinated move done by pilots Hilda, Mars, and Herbert.